This free preview of The Block Genesis is offered to our loyal readers as a representation of the highly valuable journalism and research our Genesis members receive daily. If you’d like to receive all Genesis content on our site and via daily newsletter, join here. LIBOR – the London Inter-Bank Offered Rate — is a benchmark interest rate used by major global banks to lend to one another in the international interbank market. There are multiple LIBOR rates, ranging from overnight loans to 12-month terms. Before the LIBOR scandal came to light in 2012, it served as the foundation for global interest-related products: loans, bonds, interest rate swaps, collateralized debt obligations, and more. More recently, American institutions have moved away from LIBOR to the Secured Overnight Financing Rate, which offers just one short-term rate. As the blockchain-based Open Finance movement continues to build momentum and analogous products — loans, interest rate swaps, total return swaps — start to proliferate, it is becoming increasingly necessary for a similar, market-driven benchmark interest rate to emerge. Further, this market-driven benchmark interest rate can provide valuable insight to top-down committees, like MakerDAO’s stakeholders, when determining how to set interest rates within their own ecosystems. Accordingly, The Block presents DIPOR — the Decentralized Inter-Protocol Offered Rate. 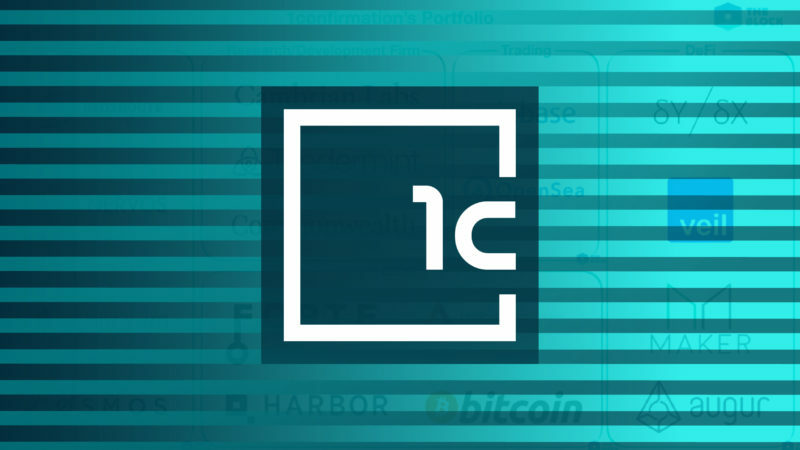 On Wednesday, April 10, 14 members of the Open Finance community came together for the inaugural DIPOR call, laying the foundations for defining and formalizing DIPOR and, more specifically, discussing how MakerDAO’s Risk Management teams can benefit from DIPOR. In broad terms, DIPOR is an on-chain oracle for the volume-weighted average borrow interest rate of specific cryptocurrencies. Ideally, the final implementation of DIPOR would be a tool allowing for the addition and removal of specific lending platforms, thereby providing different groups the ability to ascertain where their offered rates fit in the context of the wider market. For MakerDAO, DIPOR would represent yet another data point, alongside market maker inventories and a broader analysis of supply & demand dynamics, for determining Stability Fee adjustment. While it remains to be determined exactly what the relationship between DIPOR and the Stability Fee should be, the following reasoning may be a step in the right direction. MakerDAO is unique among Open Finance lending protocols in that those borrowing DAI are simultaneously minting new DAI, thereby increasing total outstanding supply. This increase in supply has a material impact on DAI’s ability to maintain its target $1 peg: when supply exceeds demand, as it has since January, DAI will trade below $1. Conversely, when demand exceeds supply, DAI will trade above $1. When DAI is trading below $1, MakerDAO stakeholders want to encourage would-be borrowers to source DAI from alternative lending platforms, where they would not be materially affecting DAI supply. Thus, we can start to form a rough relationship equation between the Stability Fee and DIPOR. When the Stability Fee is below that of DIPOR, MakerDAO stakeholders should raise rates above DIPOR so that it’s cheaper to borrow on alternative platforms. Conversely, when DAI is above $1 and more supply is necessary, the Stability Fee should be adjusted below DIPOR rates to encourage further minting. At present, this relationship is complicated by Single Collateral Dai. Platforms like Compound and Nuo allow borrowers to post any collateral of choice, whereas MakerDAO currently only supports ETH as collateral. Resultantly, until Multi-Collateral Dai arrives, we should expect DIPOR excluding MakerDAO to always be higher than the Stability Fee as those borrowers without ETH collateral cannot arbitrage rates between MakerDAO and Compound, Nuo, and remaining lending platforms. As such, at present we can adapt this Stability Fee-DIPOR relationship to something along the lines of: if DAI is trading below $1 and the spread between the Stability Fee and DIPOR is greater than some percentage, increase the Stability Fee, and conversely, if DAI is trading above $1 and the spread between the Stability Fee and DIPOR is less than some percentage, decrease the Stability Fee. Further statistical analysis will be required to determine what these appropriate spreads should be. A question that emerges from attempting to formalize DIPOR is whether rates offered by centralized entities like BlockFi, Genesis, Unchained Capital, and exchanges like Bitfinex and Bitmex, should be included in the DIPOR calculation. The elegance of a pure DIPOR is that interest rates are all readily available on-chain. Conversely, rates from centralized lending desks are often transparent and difficult, if not impossible, to verifiably audit. However, ideally, DIPOR would take these centralized rates into account. Decentralized lending platforms do not exist in a vacuum — those wishing to borrow always have the ability to switch to centralized platforms and, while volumes remain tightly guarded, it seems likely that total outstanding loans across centralized platforms far exceeds those from decentralized platforms. 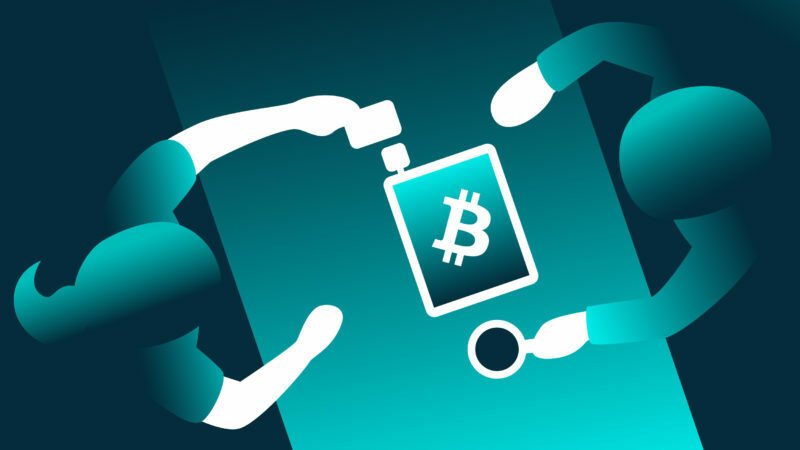 Centralized platforms could be incentivized to share their rates if they are competitive versus decentralized lending protocols, but this ultimately swings both ways as they will be less likely to share when borrowing is more expensive. Further, as the LIBOR scandal demonstrated, centralized platforms could be motivated to manipulate their offered rates for material benefit. Indeed, DIPOR is somewhat similarly subject to manipulation. While volumes remain low, a party entering into a fixed-rate total return swap contract using DIPOR as a benchmark could feasibly add large supply or draw large borrows in order to adjust DIPOR in their favour. However, this strategy should become less viable as lending volumes increase and oracle solutions like Polaris, which take periodical checkpoints on rates, emerge. A further outstanding question for the formalization of DIPOR is how to adjust for the differences in lending parameters across different protocols. By example, Dharma currently offers (temporarily subsidized) fixed-term, fixed rate loans and only begins liquidation proceedings when the collateralization ratio falls below 125%. Compound offers variable interest loans with no fixed time period, begins liquidation proceedings when the collateralization ratio falls below 150%, and allows borrowers to use several different assets as collateral. MakerDAO currently only supports ETH as collateral, uses variable rates, and has a 13% liquidation penalty. These various parameters affect the real cost to borrow, so aggregating becomes slightly complex. Emerging interest rate futures markets data can also be incorporated into DIPOR, permitting for the construction of a DIPOR yield curve and giving rate setting actors a more accurate picture as to how the market is predicting interest rates to adjust over time. There already exists a Stability Fee futures market on Augur and Veil, although there has yet to be any volume. One possibility could be for groups like the Maker Foundation, Compound, and Dharma to seed liquidity in the Augur market and encourage borrowers holders to participate, perhaps even integrating an Augur interface into the CDP, Compound and Dharma portals. However, the emergence of Stability Fee futures markets does slightly complicate the Maker governance process, essentially setting a bounty for MKR holders. A short-term profit seeking MKR holder may, for example, be incentivized to buy cheap shares in the ‘Stability Fee will adjust down’ outcome and then vote, to the detriment of the MakerDAO system, in favour of a Stability Fee decline. Consensus on the call was to build a DIPOR prototype as soon as possible, perhaps simply using data from Compound, Nuo, and possibly Dharma to start. The nature of the crypto industry means that any prototype is likely to be iterated upon and strengthened by third parties. Encouraging participation in an Augur market could also be helpful as long as stakeholders remain wary of the the potential, undesirable outcomes. Further calls will likely take place on a semi-regular schedule. 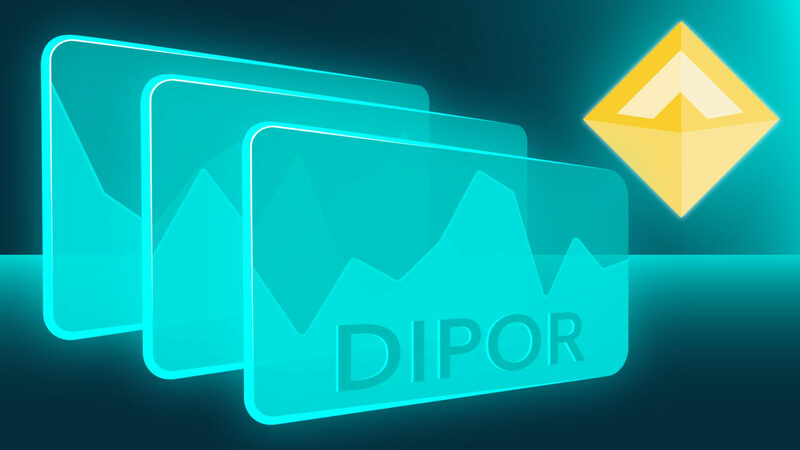 If you have any ideas or suggestions for the construction of DIPOR, please reach out at [email protected], or join the DIPOR Telegram chat.